The Championships, known as the grand finals is the jewel in the crown of Sydney’s Autumn Carnival. 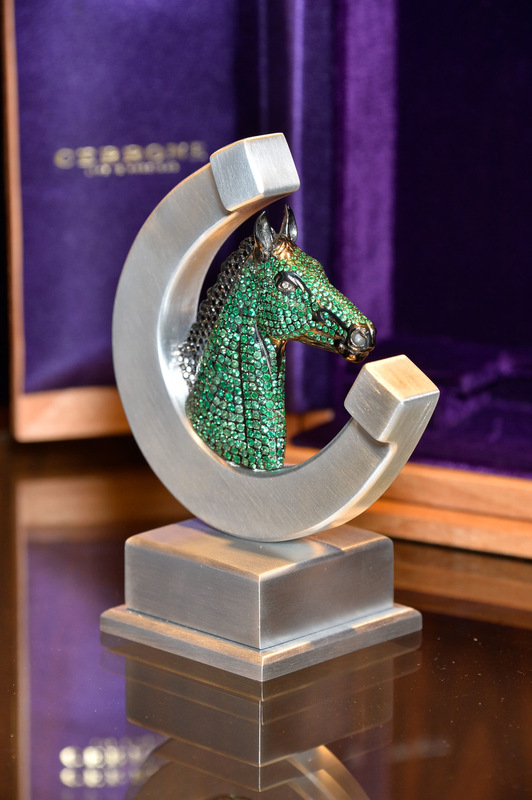 Showcasing the very best in Australian horse racing, Cerrone has been commissioned to create dazzling trophies fitting for the occasion. 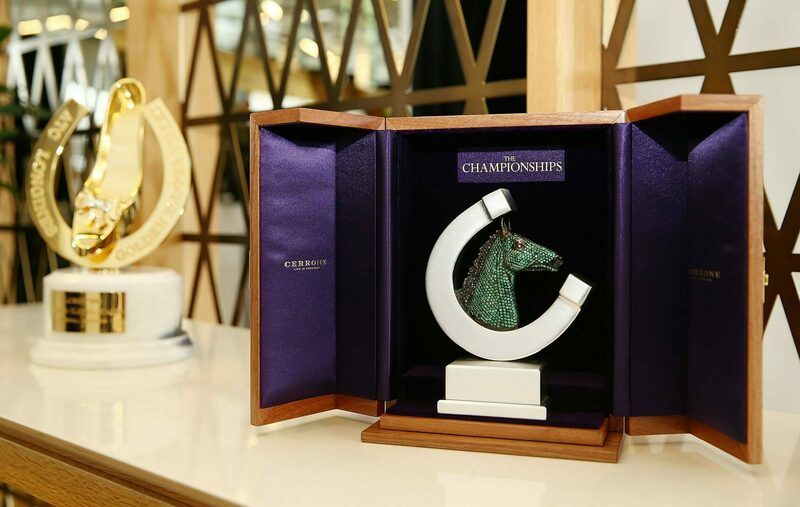 “These trophies are spectacular pieces of art and are fitting prizes for winning owners during the Grand Finals of Thoroughbred racing.” Says Racing NSW CEO Peter V’landys. 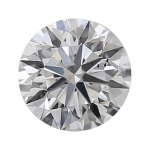 Each trophy has been pave set with approximately 35 carats of emeralds and black diamonds. 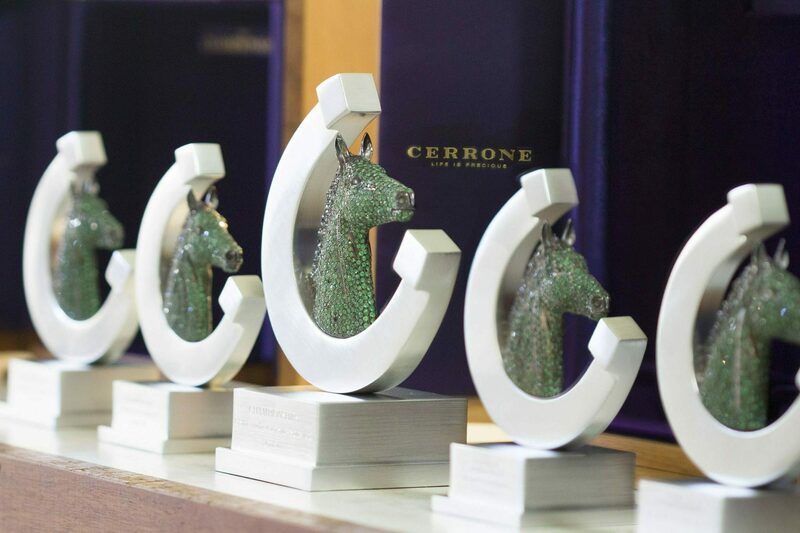 Precision crafted and hand finished by Cerrone’s master jewellers, each trophy is one of a limited set of 12 presented to the winning owner and a smaller replica presented to each winning trainer and jockey. 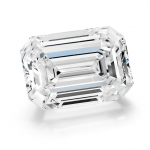 The use of emeralds is inspired by Sydney being known as ‘The Emerald City’. In the classic book and later movie, The Wonderful Wizard of Oz, The Emerald City is located in the center of the Land of Oz at the end of the famous yellow brick road. Famous Australian playwright David Williamson later used the title Emerald City for his 1987 play about Sydney and the name has stuck ever since. The trophies will be awarded to winning connections of the The Championships races on Day 1 Saturday April 6 and Day 2 Saturday April 13, 2019. Your jewellery and accessories should always complete your look – not compete with it. If your dress is OTT, dial back on the accessories. Subtle can take your look far. If you are choosing a more classic frock, pair it with your headwear and some glamorous tassel earrings! Remember to plan ahead to avoid any fashion faux pas. Try your headpiece on with any earrings to ensure they can be worn together and don’t compete with one another. Be creative – an old neckpiece can create a beautiful headpiece. Refresh a stunning piece by using it in a different way. You don’t need to wear your entire jewellery collection – choose a couple of pieces that pair back with your outfit for the perfect Racewear look.